Dan Hiett : John Graham & Associates, Inc.
Dan Hiett has been helping individuals and businesses manage their risk with insurance for more than 28 years. He specializes in group insurance products for small- to medium-sized employers. He brings another layer of expertise to the John Graham & Associates team that helps us deepen our services to businesses in our community. Our goal is to develop a relationship that allows us to be one of your most trusted advisors for all of your financial planning and wealth management needs. 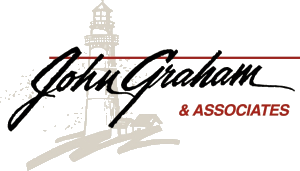 At John Graham & Associates, Dan continues to build significant relationships with clients, responding to their personal needs and requests. As a member of the National Association of Health Underwriters (NAHU) he exhibits a strong work ethic to provide the best service possible. As Vice President of Insurance Services, Dan combines his knowledge and dedication to build success and bring satisfaction to clients. 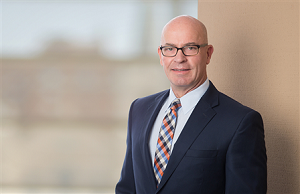 Prior to joining John Graham & Associates, Dan operated the insurance and consulting firm of Hiett Insurance and Consulting Service for more than four years. He also served as vice president of a benefits company for several years, and sold and serviced group insurance plans for 13 years. Dan lives in Avon, IL with his wife, Louise. In his free time, he enjoys spending time with his son Matt (and daughter-in-law Kayla), and son Mitchell. He is a member and President of the Board at Avon Federated Church. He also enjoys singing with his wife in the Galesburg Community Chorus, where he currently serves as Vice President of the Board of Directors. He also participates in Crossfit, Goruck and other fitness activities.